With so much choice, how do you choose which online pharmacy to trust? Online pharmacies have actually been around for two decades now, so why are we seeing a large increase popularity in the last few years? Online pharmacies and online medical consultations have been a growing trend in recent years. The popularity and use of these platforms is expected to grow even further due to the ever-increasing use of technology in our lives. The United Kingdom has embraced the trend, with about 25 percent of the population opting to use online pharmacy over local pharmacy. Why are People Shifting to Online Pharmacies? People always look for the most convenient, affordable and objectively ‘best’ services; this can be applied to the health care industry and pharmaceutical services too. 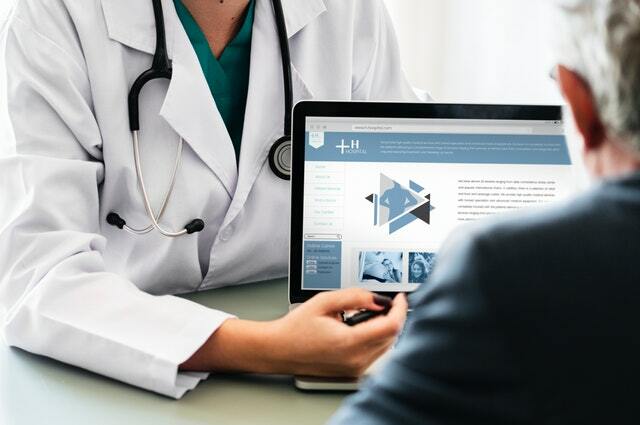 According to this study, 80% of people look for information online regarding their health conditions before deciding to go to a clinic or a hospital. It’s also been reported that people prefer to shop online for their medications, rather than to go to their local pharmacy because of the extra layer of privacy. Undoubtedly one of the best features of online shopping is the convenience. It is the simplest way to make the most of your time, consulting with medical practitioners and ordering prescriptions without leaving your home. People who live in remote places, the elderly, people who have busy or non-standard work schedules can take advantage of the convenience and speed of online shopping. Information can be one of the best benefits of online pharmacies. It is generally very easy to access a wealth of information regarding your condition, the possible treatments and their suitability for you. Detailed information about the medication, its possible side effects and contraindications, interactions with other medications, studies and its manufacturer should be available from the product information page. This will most usually contain a link to the ‘patient information leaflet’ and / or the medication page on the eMC. If you are wondering whether it is legal to buy prescription medication online in the United Kingdom, it is legal through an online pharmacy, so long as you already hold a valid prescription or the pharmacy provide a prescription service. However, a pharmacy licensed to sell prescriptions online in the U.K. must be registered with the Medicines and Healthcare products Regulatory Agency (MHRA). The registry on the MHRA website includes online pharmacies and traditional pharmacies. This means you can use this registry to confirm if a website you visit is operating legally or even check the license of a high street store. In July 2015, it became an MHRA requirement that all registered online drugstores adopt a standardised logo and keep an entry in the MHRA medicines sellers’ registry. A ‘rogue’ online pharmacy is basically an unregistered and unregulated online drug store. Though it may be illegal for them to operate, rogue online pharmacies are abundant on the internet. These fraudulent pharmacies can sell fake or counterfeit medications, thus endangering the health of patient. A 2009 survey of general practitioners in the UK found that 25% had treated a patient who had experienced an adverse effect from a drug bought online. Improper or misuse of prescription medications could worsen your condition or even have serious health implications; that’s why having your situation assessed by a registered GP or independent prescriber before issuing a prescription is critical. Does not offer a prescription service or require a prescription before selling drugs. Does not publish verifiable and useful contact information. Does not sell real medications, work with licensed pharmacists or general practitioners who dispense the prescription order. Does not use https and have a secure checkout process. While most rogue online pharmacies exhibit the above characteristics, some may use fake licensing logos and registration links to make the website look genuine. If after you still have doubts about an online pharmacy, you should check the registration of the pharmacy using the registry of the Medicines and Healthcare products Regulatory Agency (MHRA). Tips to Choose the Right Online Pharmacy in the U.K.
Robert is an accomplished writer in the pharmaceuticals field. Specialising in Men’s Health, he is also an active member of the Quora community. He is a regular article writer for multiple online heath publications including; SelfGrowth, ThriveGlobal, Medium and Pharmica.